Hi, this is Carter and this is my first time helping with the family adventure blog. 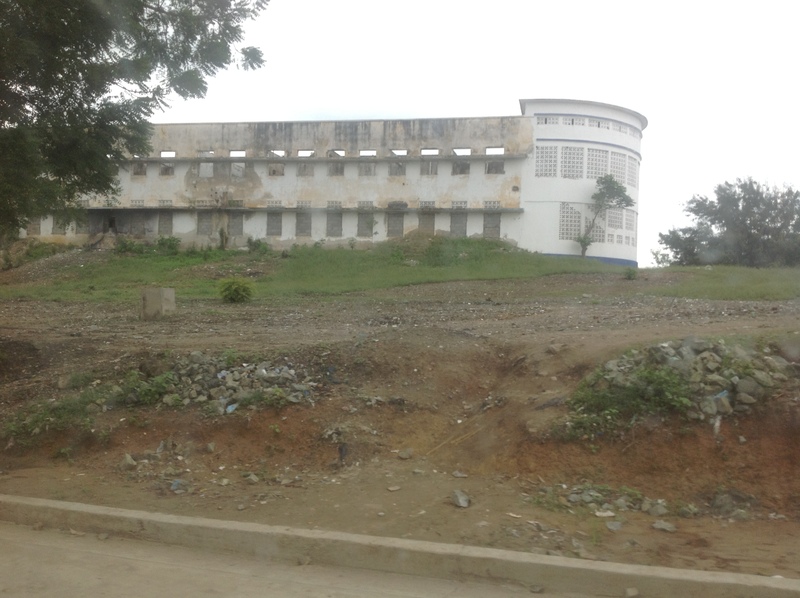 I am going to tell you about our trip to Ouanaminthe, Haiti. 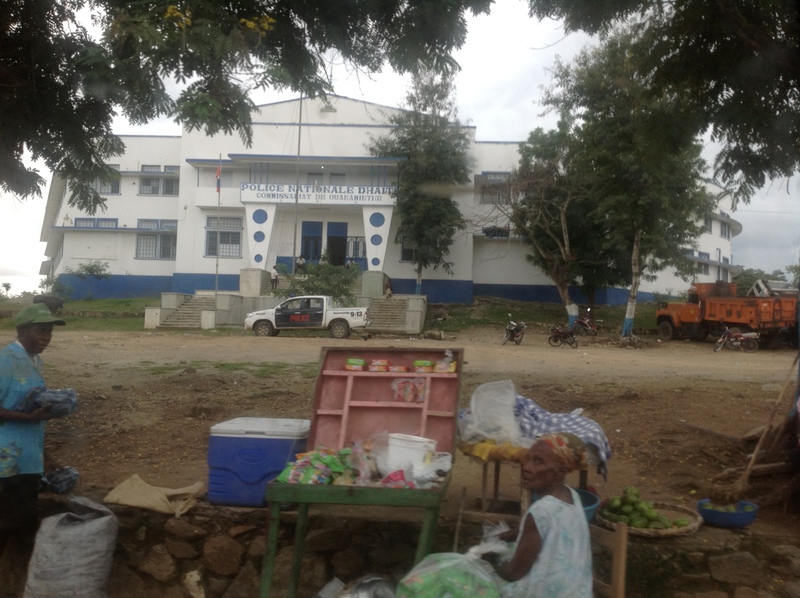 This town is on the border of the Dominican Rebublic. At first I was very excited. 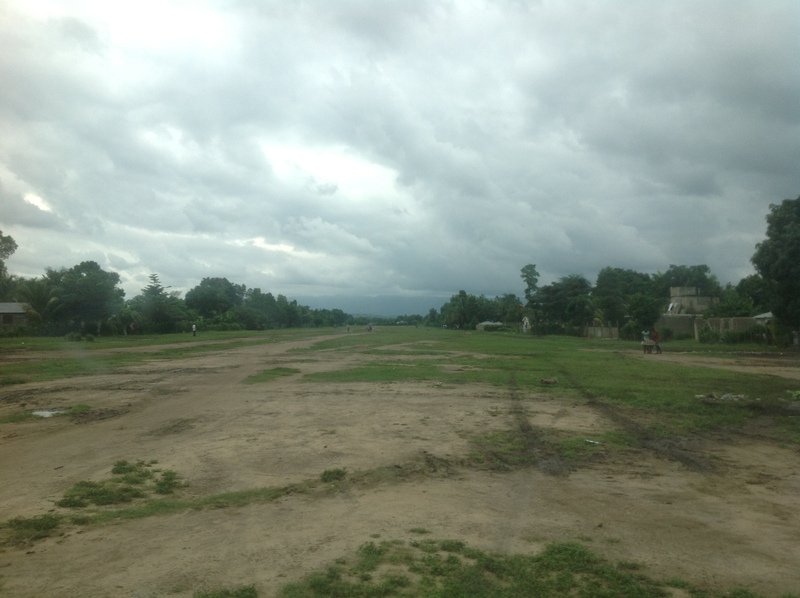 First we went to Dajabon, Dominican Republic which is at the border we were going to cross. We stayed at a hotel the night before we crossed. Dad and I went to the border crossing to check it out. 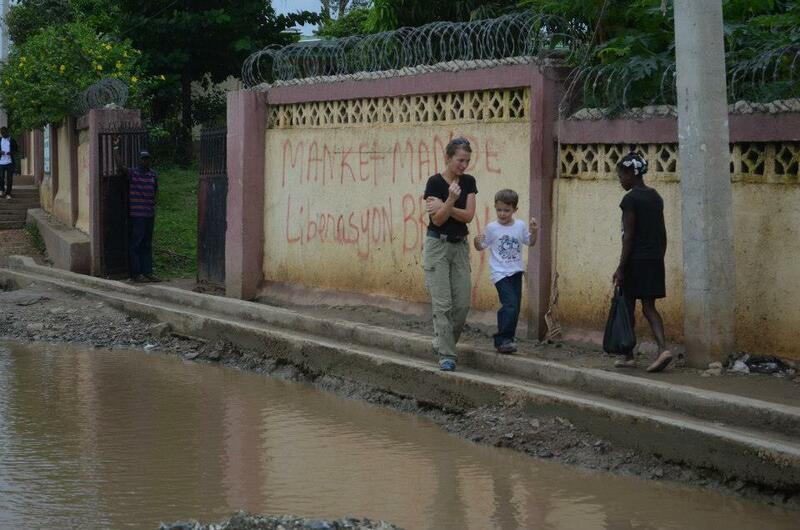 A Hatian government official showed us around the crossing point. When we went back to our car it was weird.The man stood beside dad’s car door. He wouldn’t move until dad gave him some money. What a first experience! 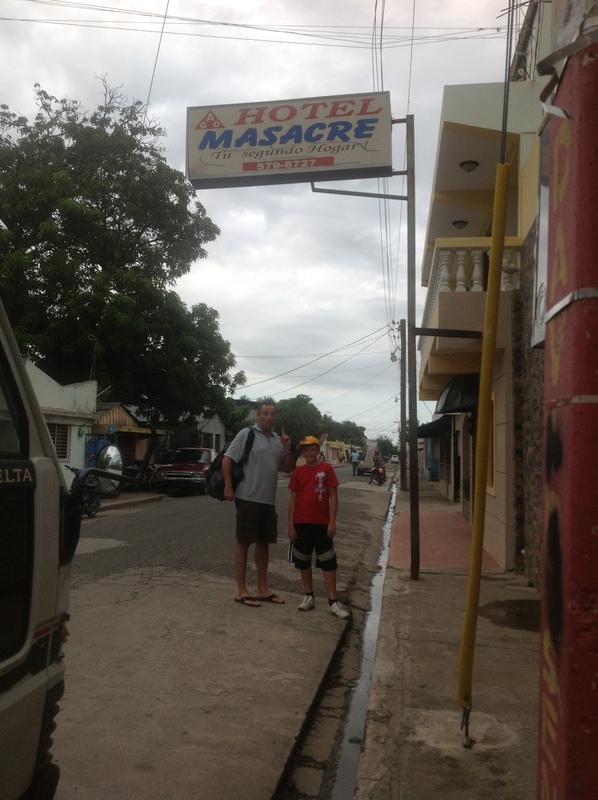 The next morning we went to meet a missionary at another hotel called the “Massacre Hotel” named after a really bad event that happened in that area years and years ago. I was like, “okay” when I heard that name. 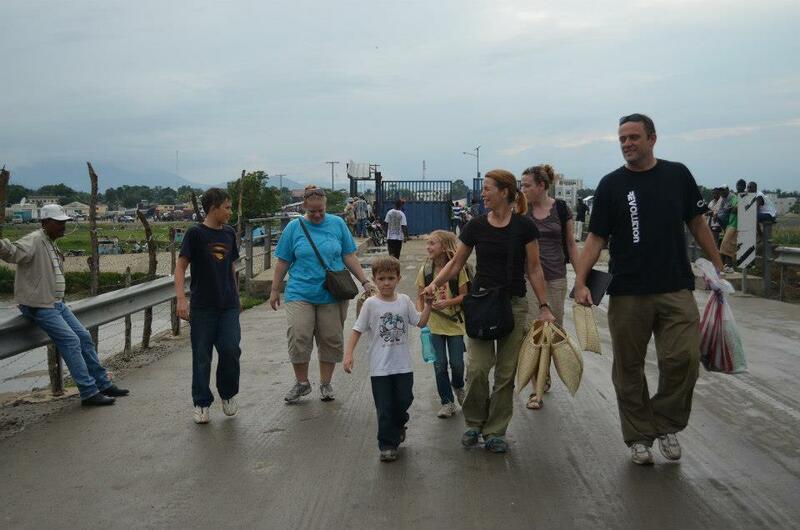 Then we walked to the border where Jen, the missionary helped us cross. It was confusing because there weren’t any signs to tell you where to go or who to talk to. 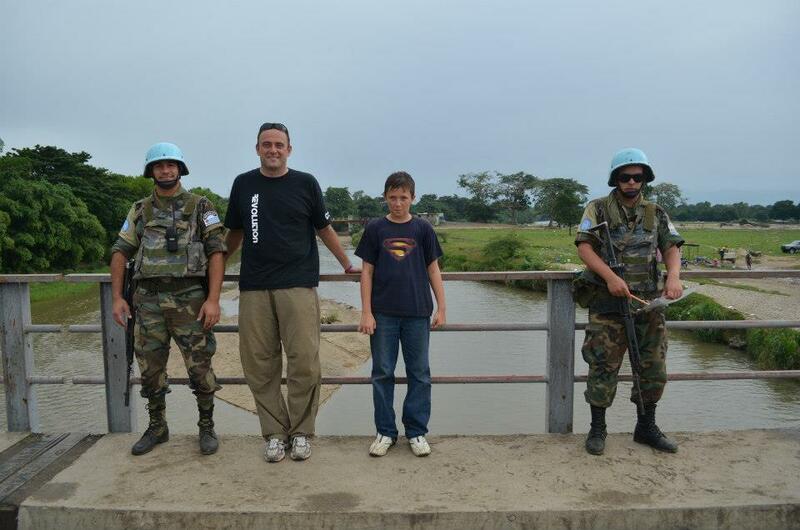 The border was only a big blue gate on a bridge with a couple of guys with machine guns checking your stuff. If you don’t need it big and fancy, why bother. 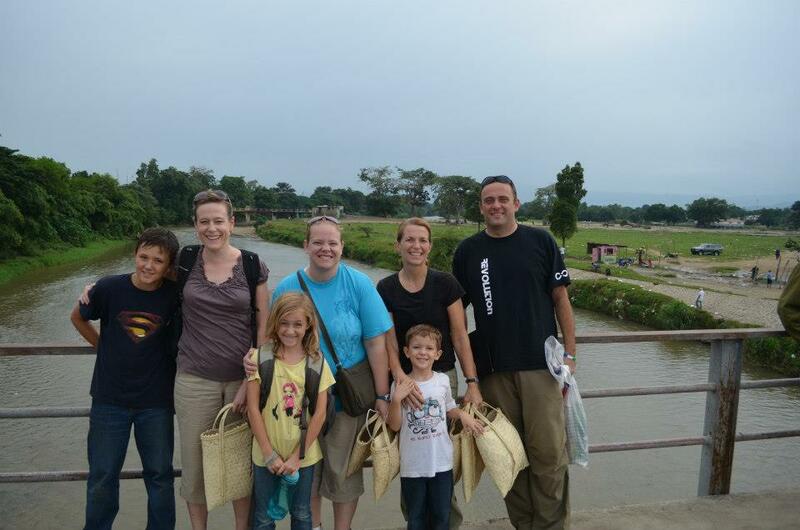 This is us standing at the “Massacre River”. Seems pretty calm. Our friends Mrs. Phares and Miss Brekhus from school came with us. 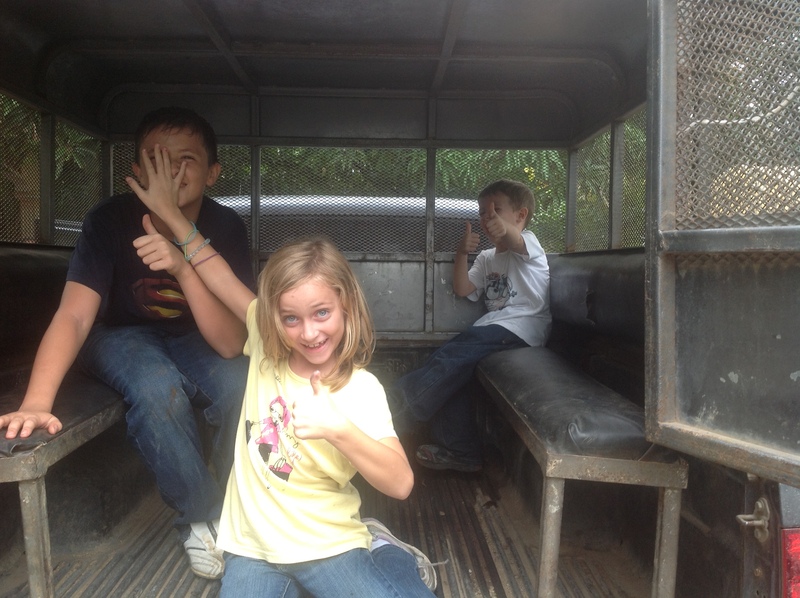 Riding in the back of a pick up…like a boss! 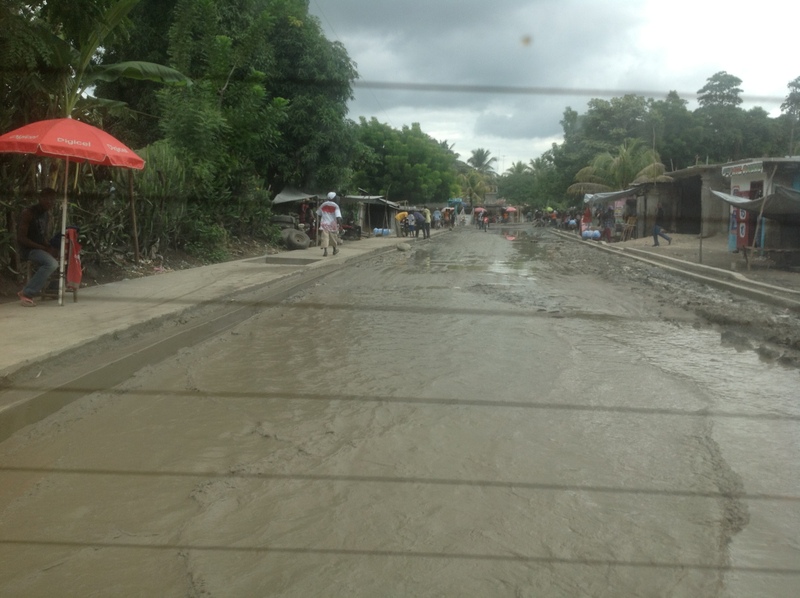 One of the nasty roads we used. They are fixing the sidewalks and the curbs but still have a little bit of work to do on the road. 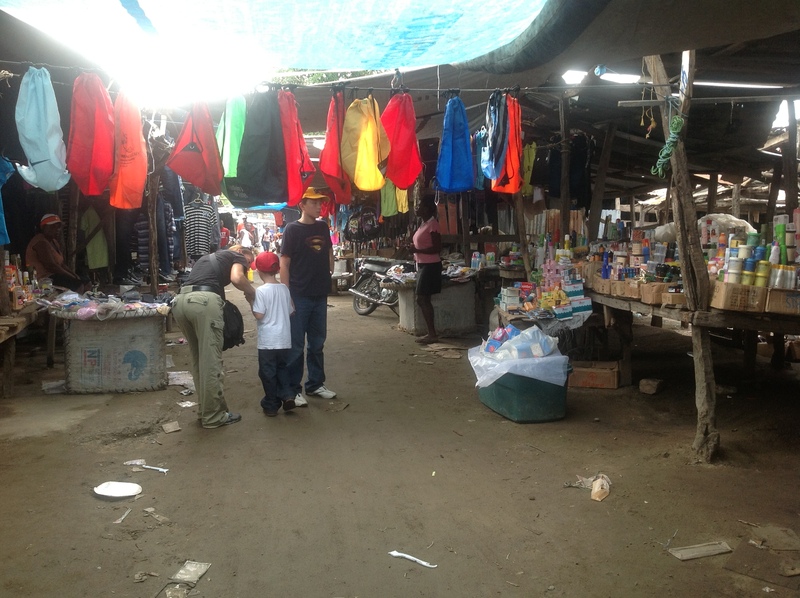 Jen calls this the Haitian Walmart…I understand now. 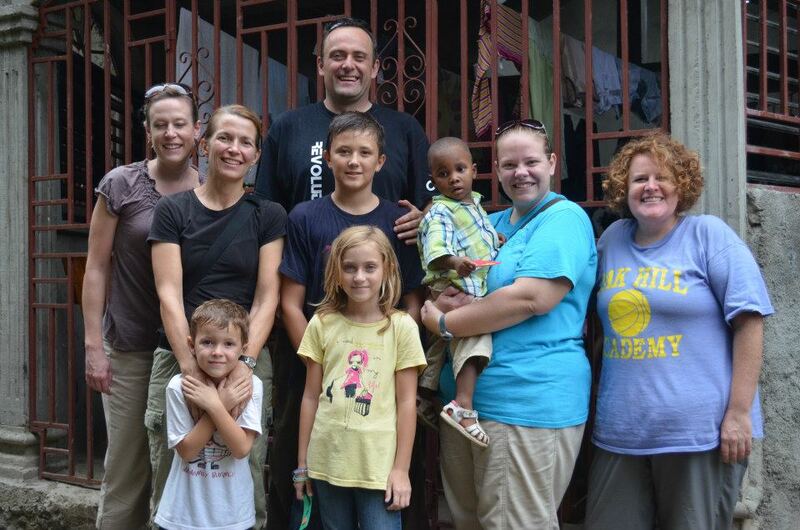 and we were a little nervous (Amber, Drew and I) when we visited the “Bon Samaritan” (Good Samaritan) Sr.’s Home. Mom & Drew walking from the Orphanage. The road wasn’t very good. A nice man at the Sr.’s Home. 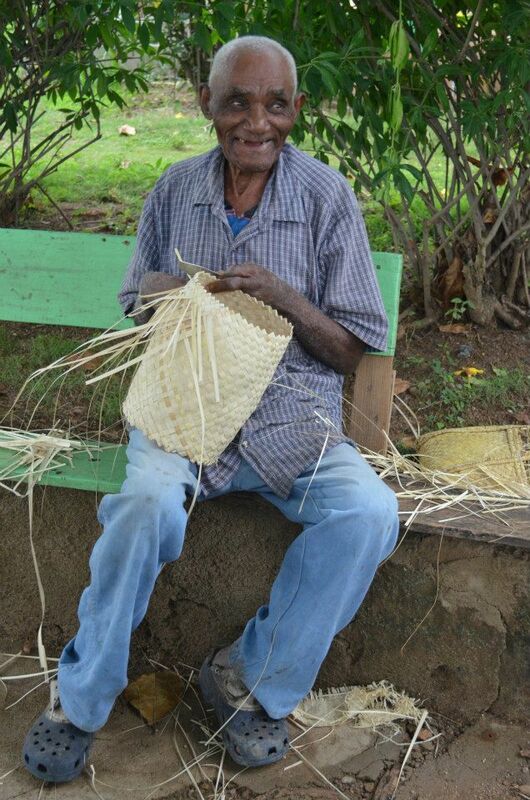 We bought some of the baskets he was making. we even saw the big Police Station! It is getting fixed up while they still use it. 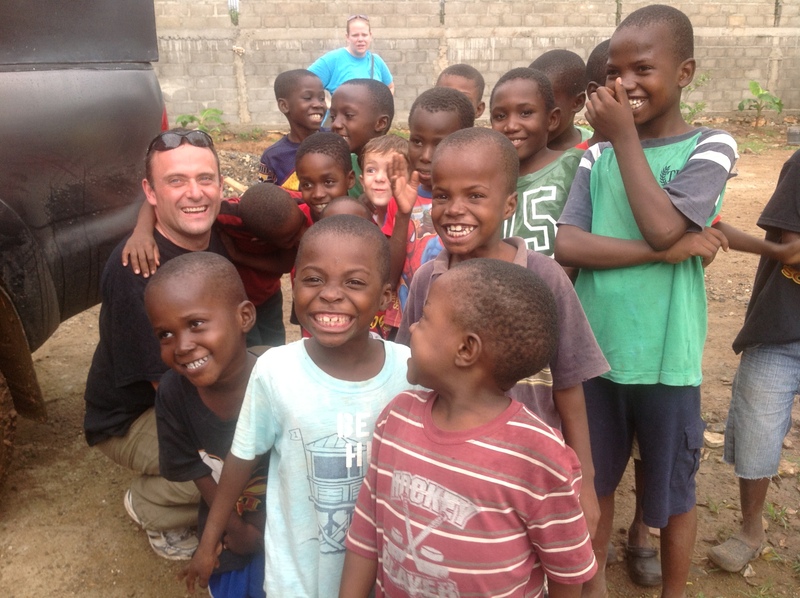 After the tour we went to my favourite places on the trip – the Boys and Girls Orphanages. The kids were very nice to us when we first came. And they also looked a little surprised when we pulled up. They don’t see “Blanco’s” alot. That is what they call white people. They aren’t being mean. They just don’t have another word to use to describe us. Pastor Samuel is an awesome driver! He can get through any mud hole. Girls Orphanage has a school, a kitchen, sleeping rooms a really big garden with Plantanes, Mango’s, and other plants. They even had chickens and goats! One of the foods they eat alot are Avocado’s. 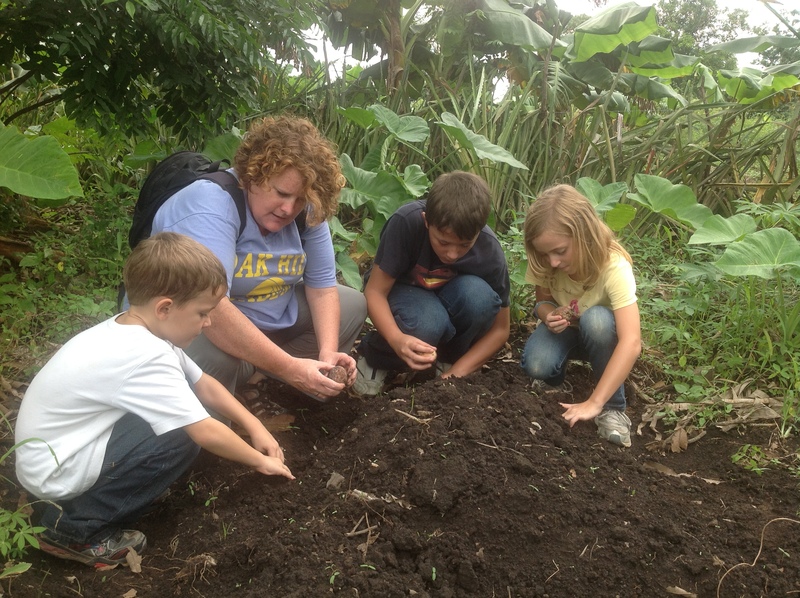 Jen, the missionary took us to a 3 acre garden and showed us how to plant Avocado seeds. They will grow up and help feed the kids. That was so cool. For American Thanksgiving dinner we had rice, beans and for the first time we tried goat meat. Amber and Drew didn’t try the goat meat but I (Carter) did. It tasted like beef and it was chewy. My favourite food was the tostones which are made from Plantanes and looked like fried smashed piece of banana. Amber says they taste like ‘heaven’. 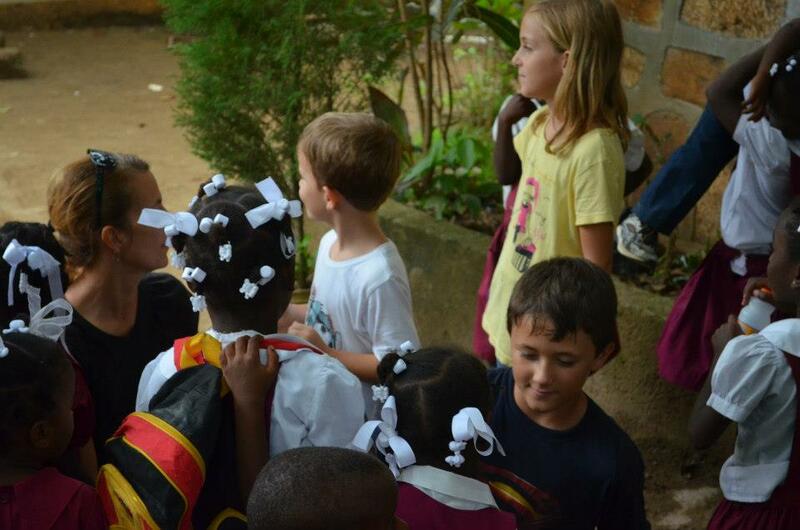 We had alot of fun with the boys and girls at both Orphanages. 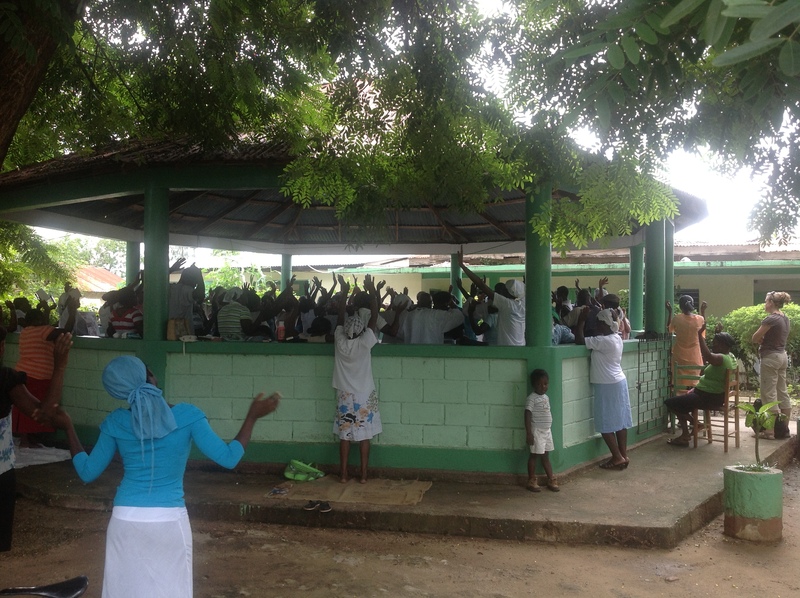 There are about 54 girls at the one ophanage, and 23 boys at the new boys orphanage that started in August. Amber and mom made crafts with the girls. 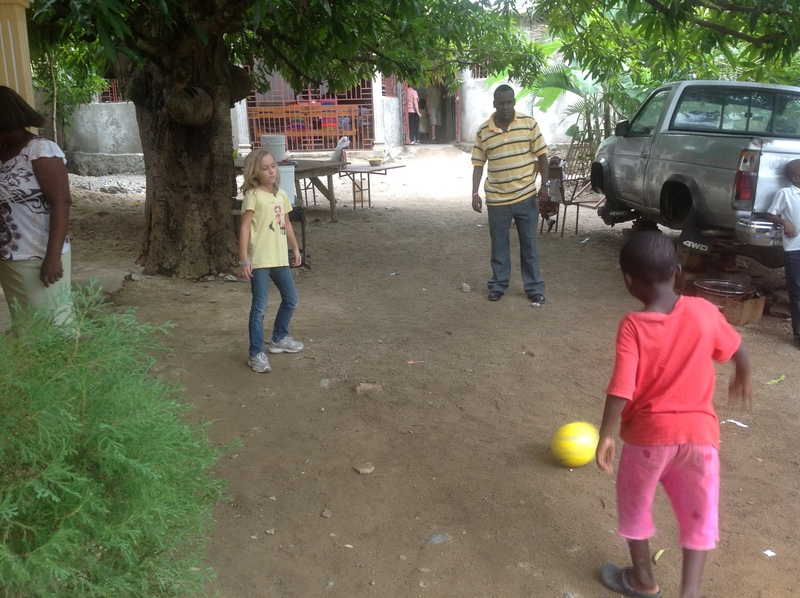 Drew, dad and I went to the boys orphanage and played soccer with the new balls we gave them. Everybody loves soccer there. 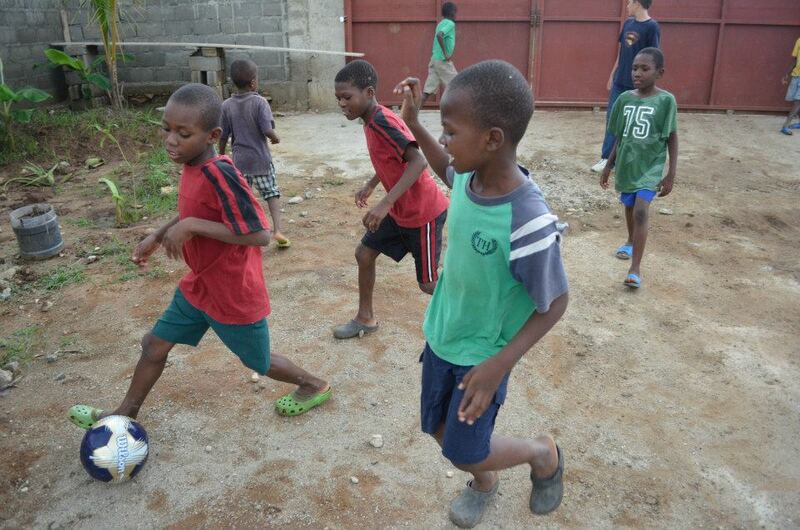 The boys loved the soccer balls. One game I tried to teach them was “taps”. That is when you pass the ball back and forth but you have to jump everytime you catch the ball and throw it back before you land. 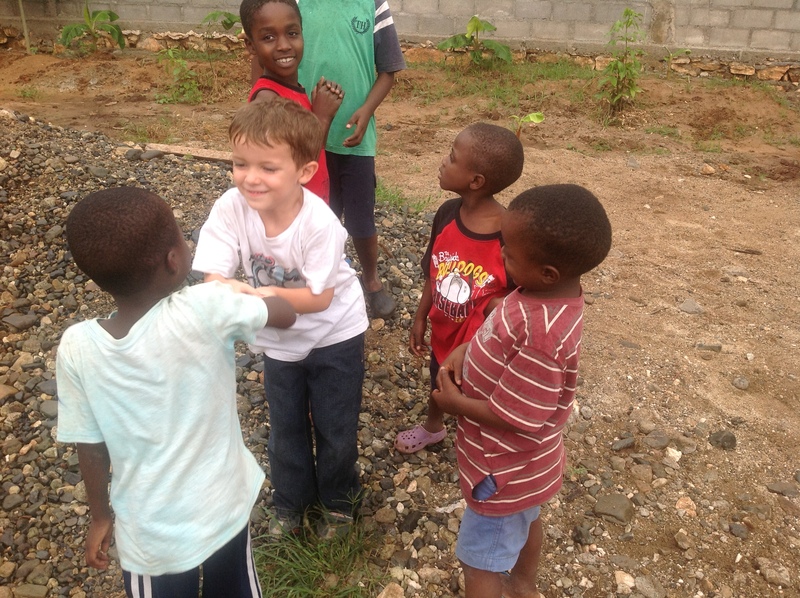 It was funny trying to teach them without knowing how to speak Creole. But we had alot of fun playing it. Wonder (yep, that is his name) was so fun. He smiled all the time and wanted to help with everything. Donise was only 18 months old. His mom left him at the river and some nuns found him. He is soooo cute! God showed me and taught me (us) alot of things on our trip. I found out that even the poorest of people could be happy. They might not have much but they are thankful for the things they do have. I’m happy we had this trip on thanksgiving. Now I am thankful for everything I have. 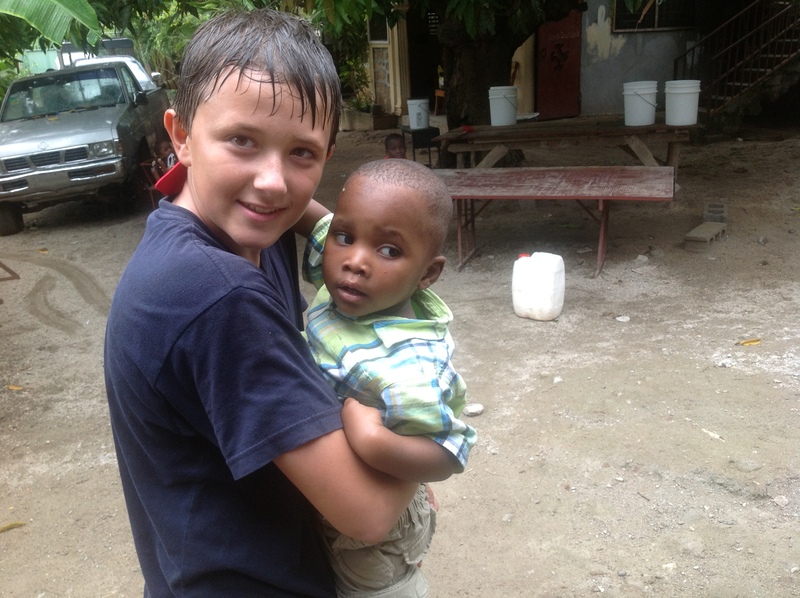 And the orphans are probably some of the nicest kids I have ever met. Between now and Christmas to be ask thankful as you can. 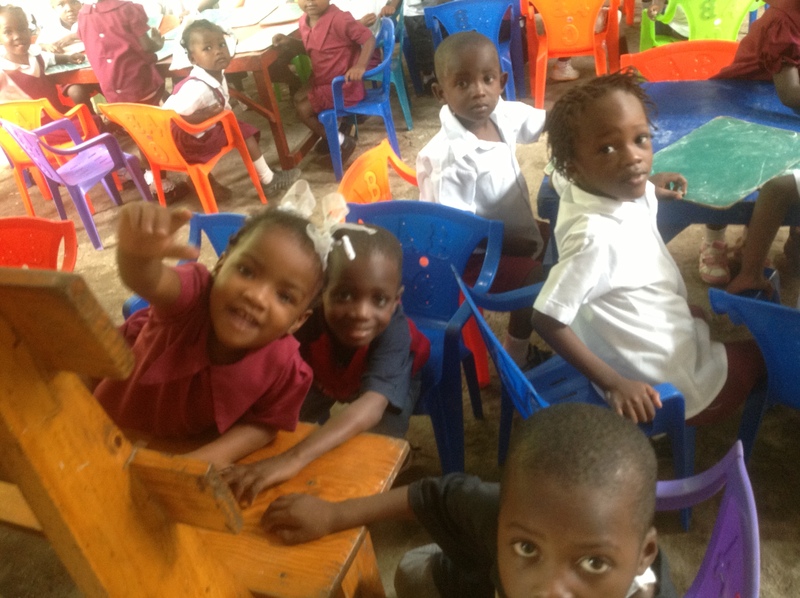 Think of the orphans in Haiti and any other country because they don’t have much but they are still happy for what they have. Well, that’s all from me. We’ll see you next time on the Houck Family Adventure blog. 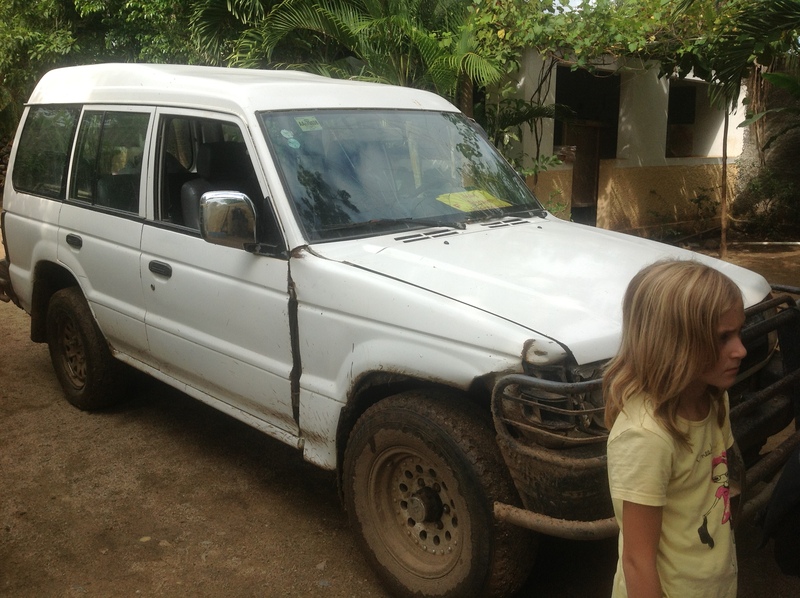 After a lengthy array of conversations, applications and reading we are now able to receive donations for the ministry work here in the Dominican. RCE (Resourcing Christian Education) ready to be our filter for those wishing to help provide for the various projects we’re a part of. 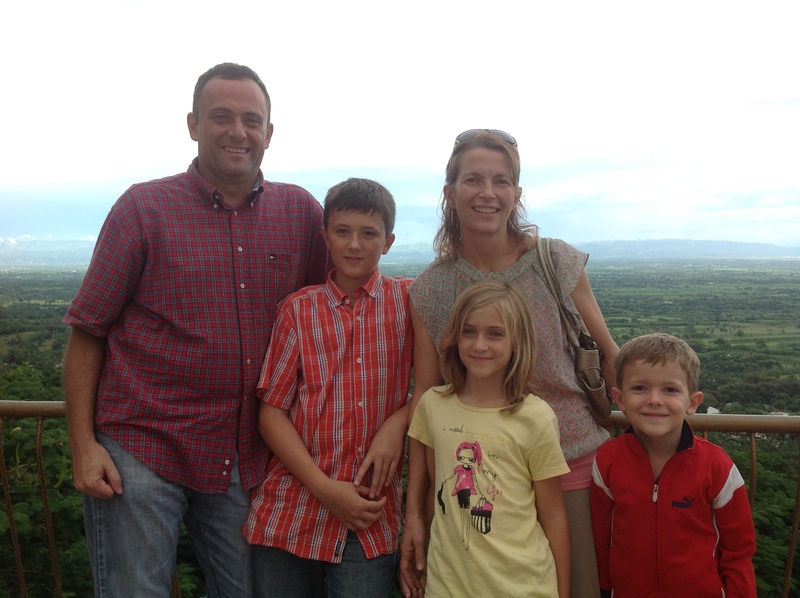 The process is simple, easy to use, and proven by a number of international missionaries. RCE accepts online donations through credit card. If you wish to send a donation by check, the physical address is available for you as well. Unfortunately we are still unable to provide tax receipts for Canadian donors. You can still donate through RCE and note that you are a Canadian resident if you wish. We have learned a great deal over the past year about how complicated receiving funds from Canada truly is. RCE is in the process of obtaining status within Canada. Work continues on that however nothing is available currently. Scroll on to the “Donate” tab but don’t click right away. Click “Review & Submit” when ready. Thanx so much for all of your prayers and support. We’ve been diving into alot of familiar and new adventures over the past month. Here is a little photo journal and let the pictures communicate the message. Danilo, a super young high school student we work with chose to receive Christ recently and jumped in (literally) to being Baptized a couple weeks ago. Amen! 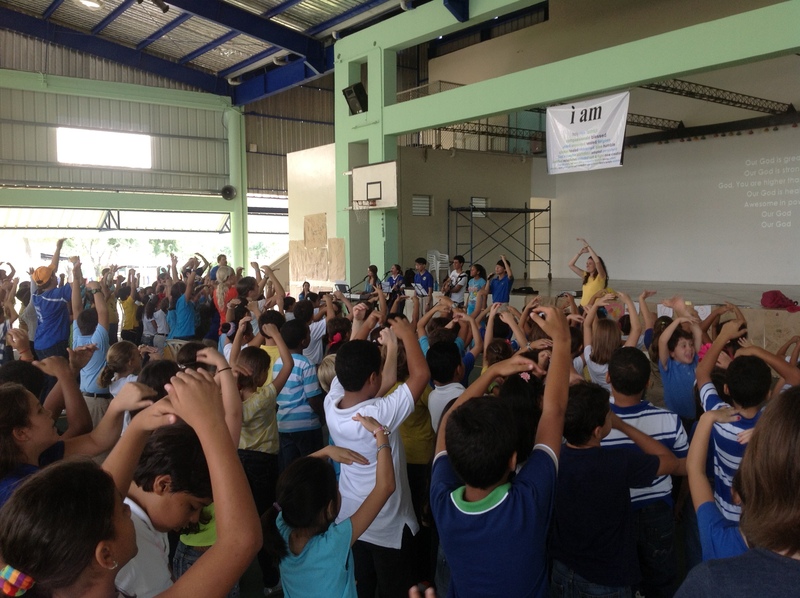 Rockin the gym with a few hundred amazing kids during Jesus Week. 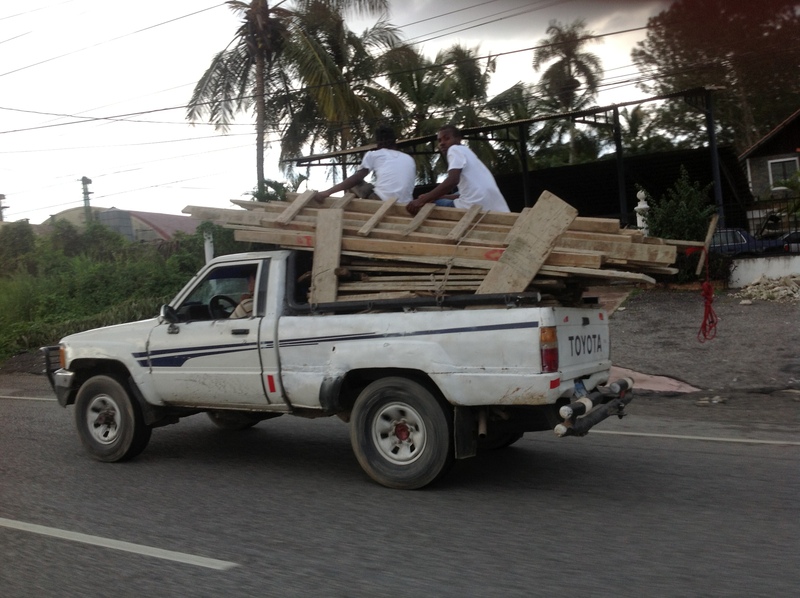 Have construction material and no straps…will use people as they are heavier and enjoy driving 80 kms per hour in the open air. Christopher Columbus was “aqui” (here). Only 20 minutes out of town is Santos Cerro, the historical location where explorer Christopher Columbus & his crew supposedly received a visit from the Virgin Mary. Not sure about the story, but the view is amazing! 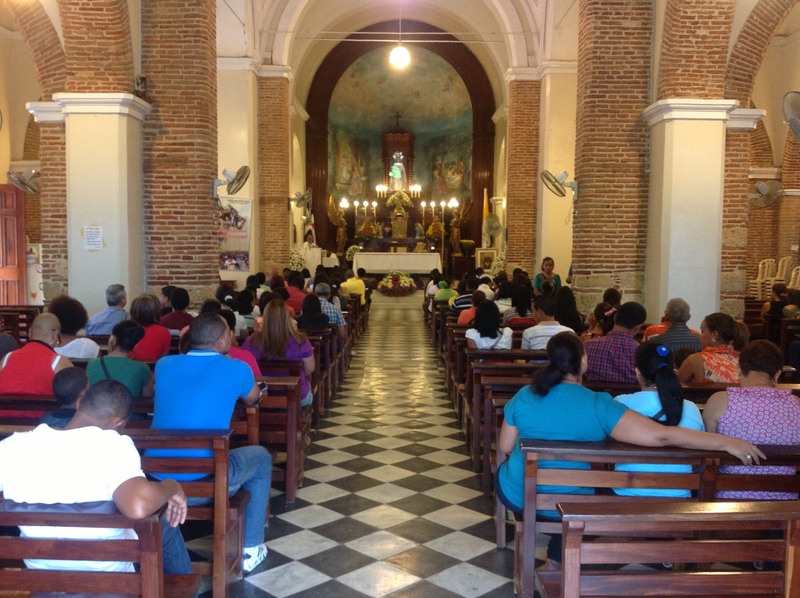 Beautiful church was built on the spot a cross was alleged to have been built by Columbus and his Spaniard crew. A fenced area within the church encircles the whole where the cross is believed to have been. The cross was set on fire by the farmer’s Columbus was attempting to take over however it never actually burned down. It just….well, burned with flames and stayed where it was. Anthropologists believe the cross was actually carved out of a live tree with roots still intact (not uncommon in that time apparently) and thus the reason for it not burning. In our next update we’ll drop some pics of the Family Day Events. Blessings on you and yours from us and ours.